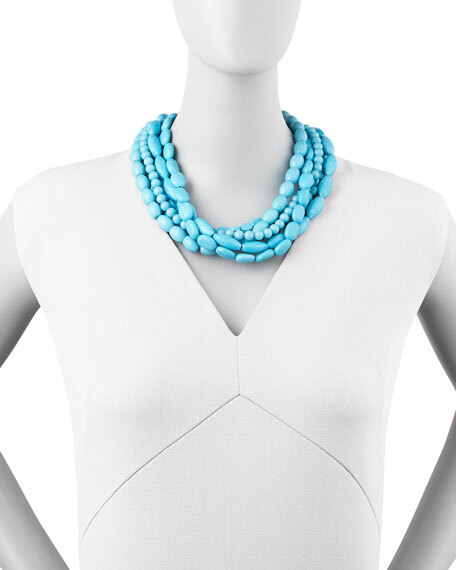 The bright blue magnesite beads of our exclusive Moon and Lola necklace provides the perfect pop of color. 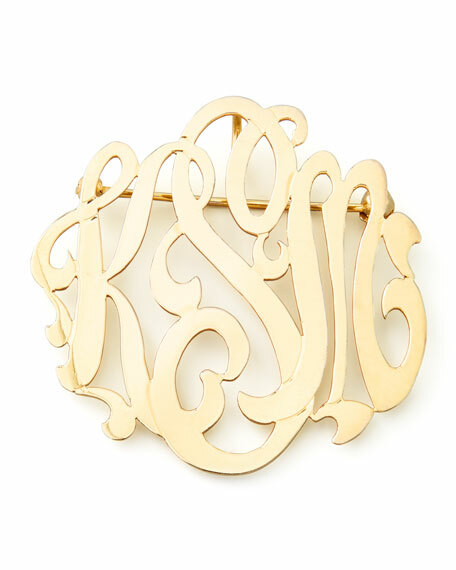 Wear it with or without the monogram pin. 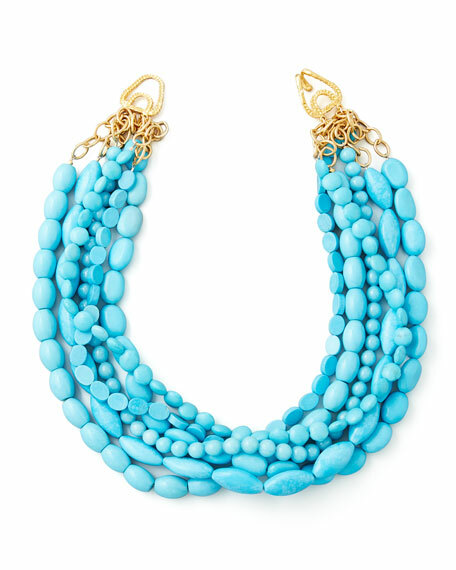 Five strands of turquoise magnesite beads. Beads vary in shape and size. Textured 14-karat yellow gold plate chains. This Moon and Lola pin is perfect for becoming your signature piece. Wear your initials strung along a necklace, pinned to a lapel, or even satin sash. 14-karat yellow gold filled forms three script initials of your choosing; listed first, last, middle. Loop detail on back; may be strung along your favorite chain. Fine bar pin back minimizes hole in fabric.